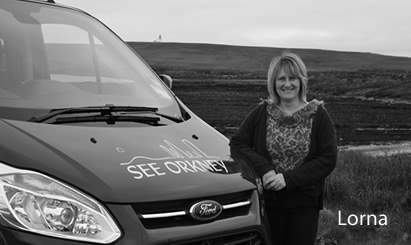 Local Orkney tour guides offering bespoke Orkney guided tours designed to meet your individual needs. Qualified through the Scottish Tour Guide Association, we are Lorna and Carrie Brown a mother/daughter team who both love sharing the beauty, history and culture of our Islands. Our family are originally from one of Orkney’s North Islands called Westray. 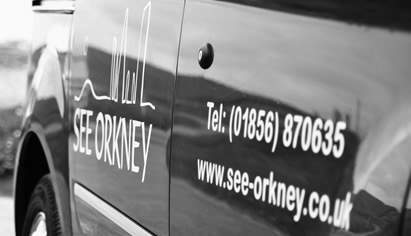 We moved to Kirkwall on Mainland, Orkney in 2012. 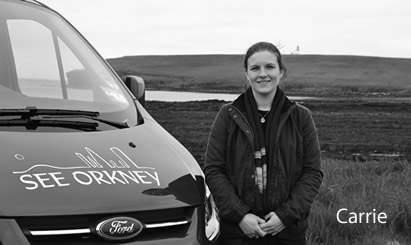 On Westray we were beef farmers – one of Orkney’s main industries. We have many and varied interests and hobbies. Lorna loves delving into family history, travel and photography. Carrie enjoys local music and plays the fiddle. She also is an avid beachcomber, looking for groatie buckies, bottle messages and other treasures. Once finding a 4000 year old remains.